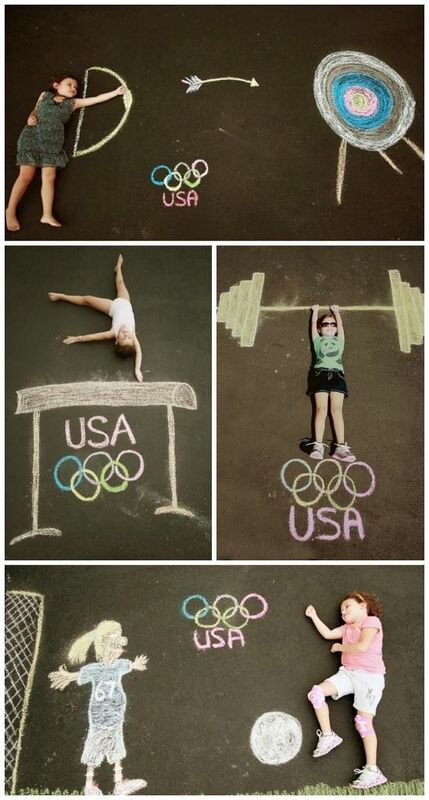 Is anyone else as Olympics obsessed as we are? I have been looking forward to these Olympic games all summer long and my only wish is that the kids weren't in school yet so that they could watch more than they have been able to. My love for the Olympics goes WAY back. 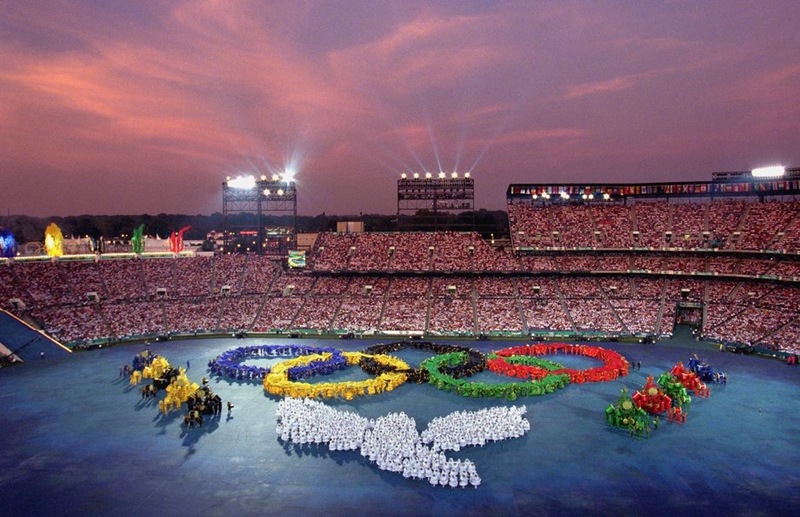 When the Centennial Olympic Games were held in Atlanta in 1996 I had auditioned to be a performer in the Opening Ceremonies and was selected! It was a really cool experience, but as a 15 year old at the time, I wish I had known just how amazing the experience was. We had months of all day practices leading up to the big event and I made some great friends along the way. My parents surprised me and ended up buying tickets to the Opening Ceremonies so they could be there to watch. I'm sure I have pictures somewhere, but none that I could get my hands non easily. I did find this image though...I'm one of those people down on the field in black forming the Olympic rings. During those same Olympics games my parents took each of my brothers and I to several different events and it was really cool to be able to attend such amazing athletic events in our hometown. I guess that is where my love for the Olympics came from. 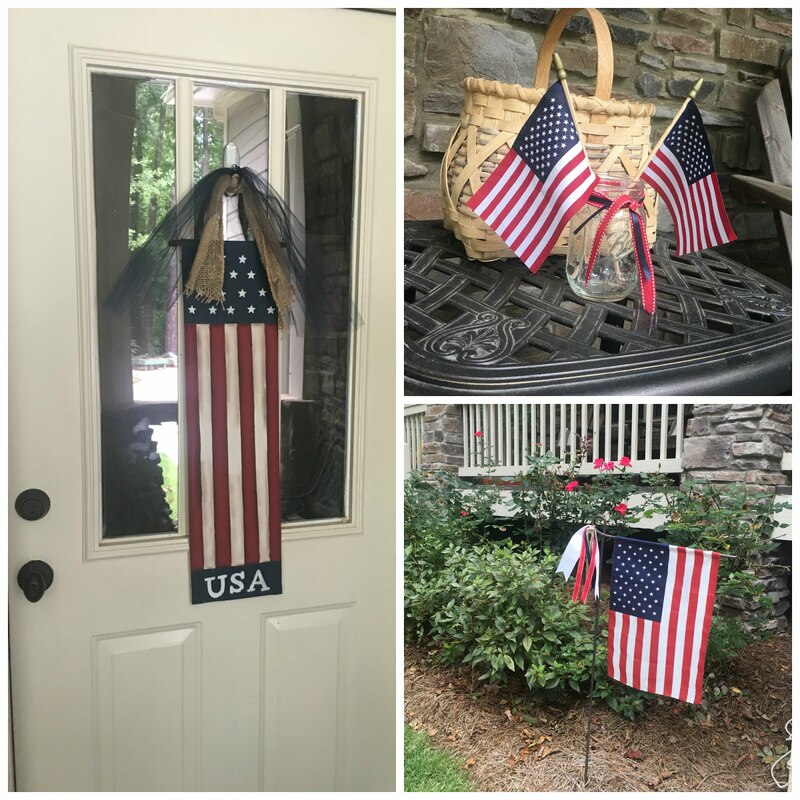 I kept up all of my 4th of July decorations from this summer so that we could show our USA pride going into the Olympics. That's one thing I love about the Olympics. It doesn't matter what the sport is or if I've ever had any interest in it before, if Team USA is competing, I'm watching and cheering them on! The kids have loved watching the Olympics this past week and can't get enough either. We've been recording it a lot and watching when they have some down time from school. Blondie loves soccer and swimming, Little Mama loves gymnastics and synchronized diving and Boo-Boo pretty much loves it all. He was so cute because today when we were in CVS he got really excited when he saw the magazines at check-out featuring a lot of the athletes that he recognized. I have been so tired this week because I keep staying up way too late watching. It's a nice way to relax and unwind from a busy day though! 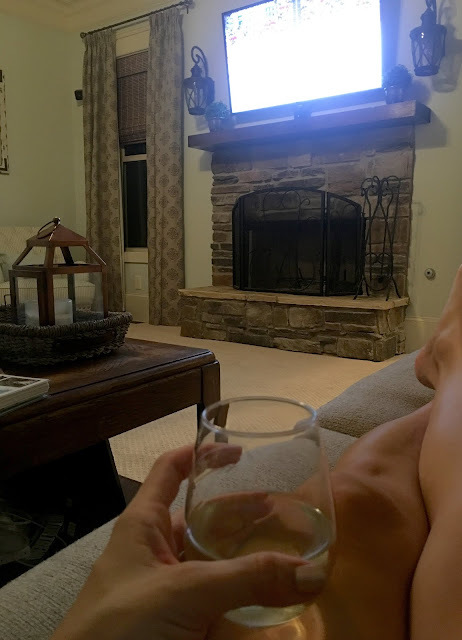 This is me...hanging out on the couch, wine in hand, watching Olympics and cheering for Team USA! I also love hearing all of the stories behind the athletes and their training. Their training and dedication to their sports is so amazing and inspiring! Yesterday a fried of mine share some really cute chalk drawings she had done of her kids that were Olympic themed that were very similar to these I'd seen on Pinterest. That got me thinking about all of the really cute ideas that are floating around on the Internet. I spent a little time last night and pinned lots of fun and super cute ideas. You can check them out HERE. 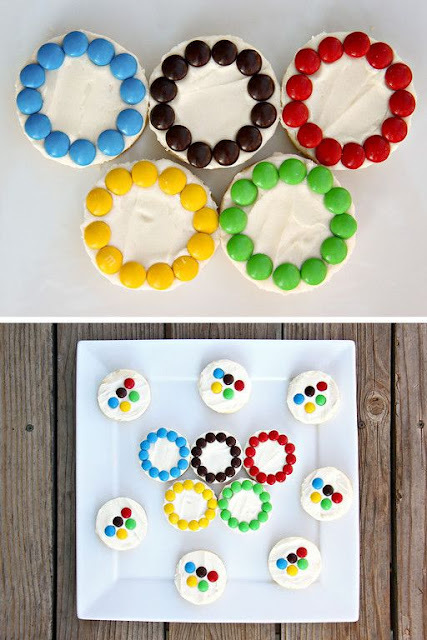 How cute (and simple) are these cookies?! Now I have some fun ideas up my sleeves for the kids. Can't wait to get their help to make some fun treats to enjoy during our watching this weekend! I would love to know what you all are doing to enjoy these Olympic games? Are you watching as much as we are? What are your favorite events?